Hydro-Sponge Pro - Aquarium Technology, Inc. The Hydro-Sponge Pro series is a sponge filter workhorse. The “reticulated foam” is heavy duty, extremely porous and stiffer than our standard sponges, which allows even greater bacteria colonization and mechanical filtration using higher flow rates without clogging. This is serious filtration. These units have the same quality design and function as the standard Hydro-Sponge, but have the heavier constructed foam. 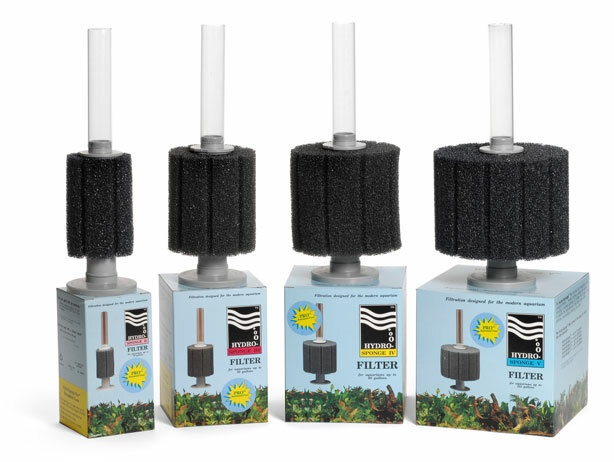 The two key factors that differentiate this product is the reticulated foam sponge and its ability to withstand higher flow rates without damage to the foam.